What does the title ‘King Pleasure’ evoke? In this context it suggests eating, drinking, spending money, chasing chicks, having a good time, overdoing it more than somewhat and explaining the events of the night before to the judge on the morning after. All apt topics for song and celebration, especially in these grim times. So much pop music nowadays is full of anger and violence on the one hand, and slack-jawed stupidity on the other, and so much contemporary jazz is excessively earnest and glum, that we are in urgent need of music that comes with a cheer-up guarantee. That is exactly what King Pleasure & The Biscuit Boys unfailingly deliver. They’re the genuine article, in full working order, dedicated to shaking you up and swinging you into the middle of next week. 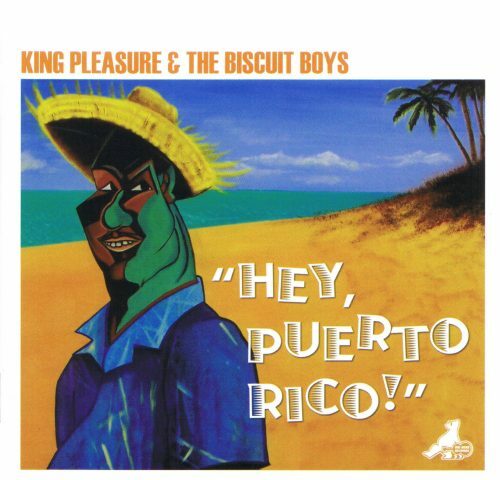 They’ve got King Pleasure’s inimitable stogies – and – bourbon voice, they’ve got a roaring band sound that comes at you like the Wabash Cannonball, and above all they’ve got that beat. In the words of the immortal Lord Buckley ‘Rhythm is the key to everything – runs the whole swingin’ thing’.